Ever since I moved to California over three years ago, I began to explore the many hiking areas around the Central Coast. 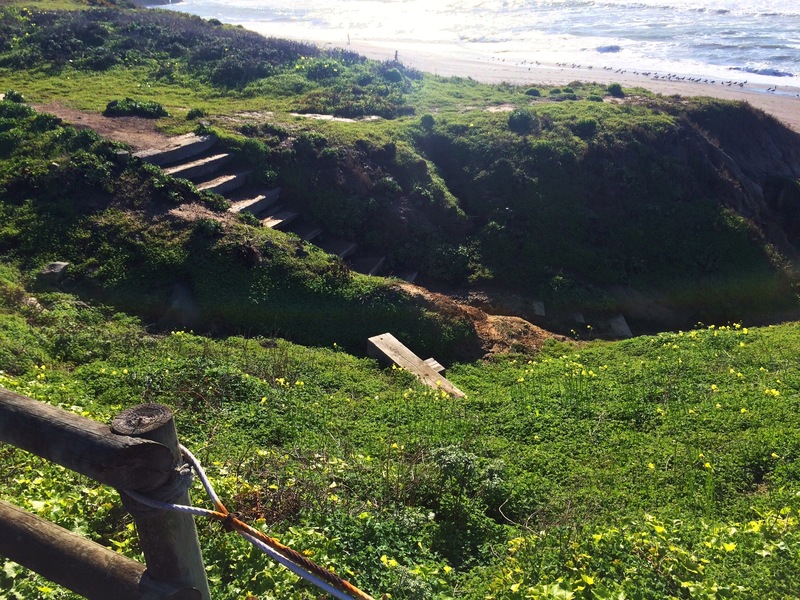 How cool is it that we have so many choices: inland trails, trails along the coast, and a variety of beaches. Originally being from landlocked Colorado, the coast and beaches hold a special pull for me. Every time I get out on a beach hike, the rhythmic sound of the waves seems to synchronize my heart and spirit. 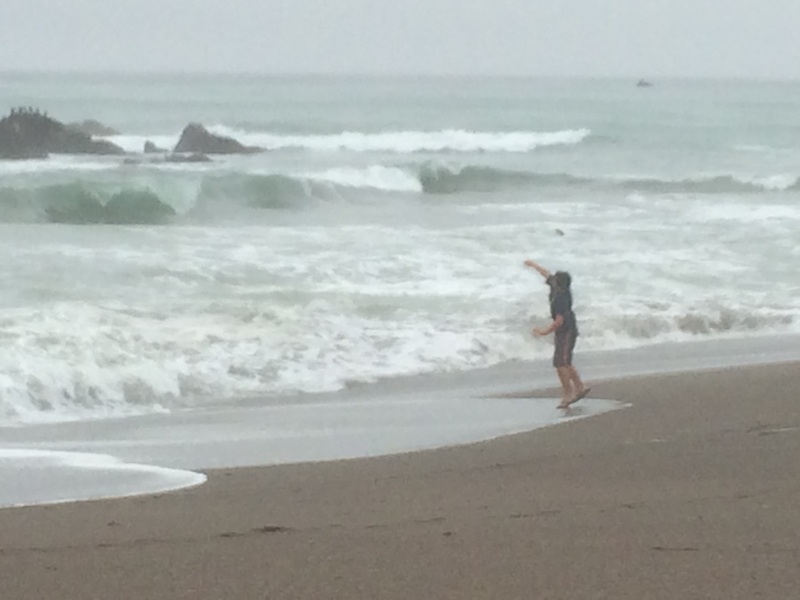 One of my favorite beaches on the Central Coast is Moonstone beach just outside of Cambria. This is a mysterious and wonderful beach that has a variety of features to appeal to many different tastes. One of the most unique and beautiful features is the stones that are throughout the beach. When you first experience this area, you really know you are somewhere else, different, but at home. This beach seems calmer than some of the other beaches along the coast. The swell of the waves pulls you down towards the beach and towards the amazing vibrant colors of the sand and the “moonstone” rocks. 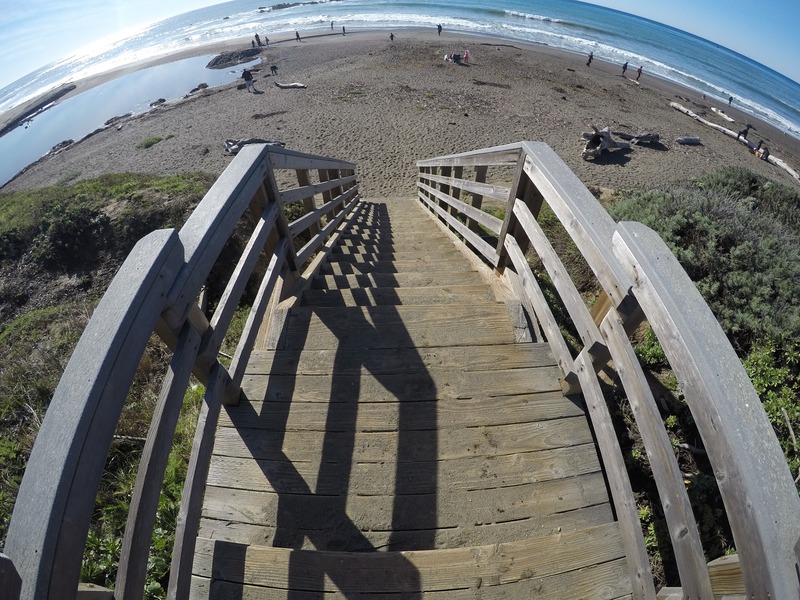 As you descend the first set of stairs, you are caught between the amazing view of the waves and the variety of colors and textures below your feet. This is one of my favorite parts of this beach. The beach stones range in size and shape, and there are some true gems (no pun intended) hidden in the sand. I always end up looking for bits of sea glass. Here there is tons of sea glass intermingled between the colorful stones. Green sea glass seems to be more common with some browns, whites and the ever elusive dark blue. The deep blue sea glass is pretty hard to find and if lucky you can find 1-2 each trip. This usually turns into a family challenge to see who finds the best rocks and sea glass. 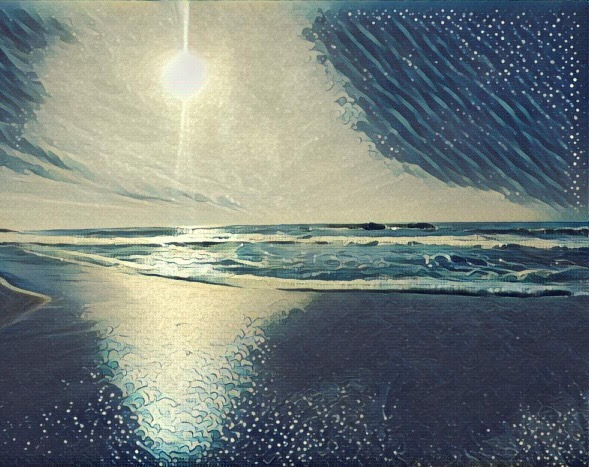 As I slowly walk towards the southern wall of the beach, I try to defocus my eyes and let my mind catch glints in the sand. This seems to be the best way to find pieces of sea glass. 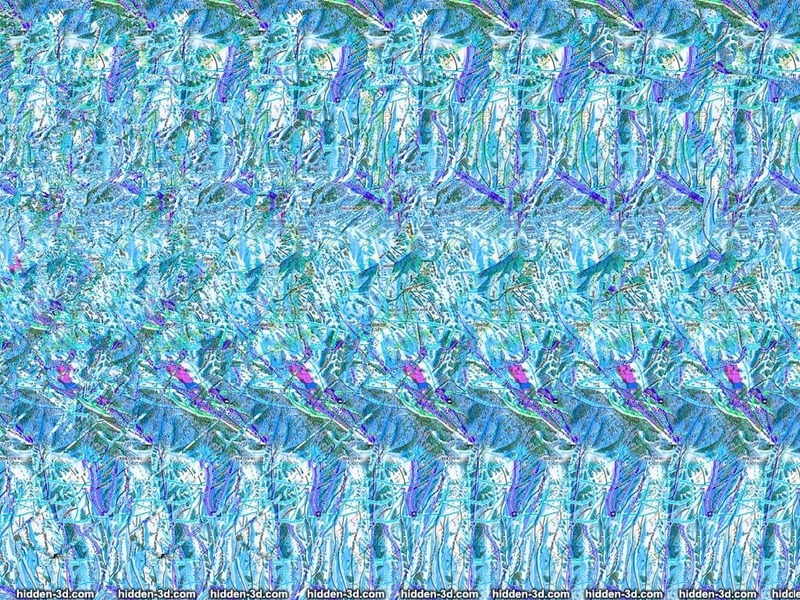 It reminds me of the ‘90s, when they sold the Stereograms or “Magic Eye Pictures” where you had to focus and defocus until the 3D image appeared. It was sometimes painful, but when the image appeared it was rewarding. 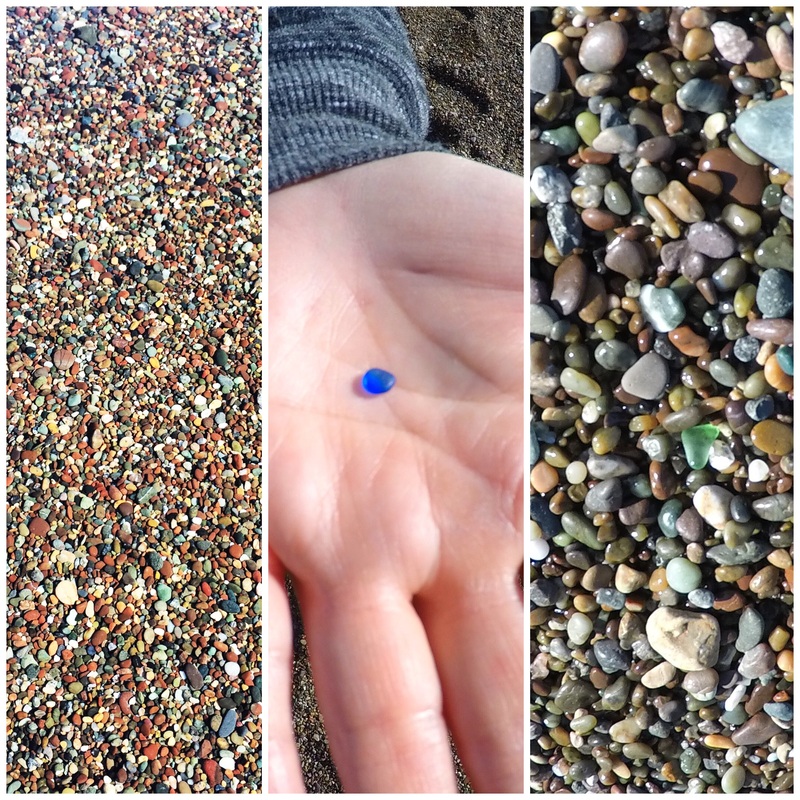 Just like on the beach when you find the elusive blue stones…. As you walk, you also notice the waves here. Not sure exactly why, but the waves are fairly large and the beach has a steep slope. This tends to have some surprising moments of getting pounded by what I call rogue waves. By the way, never turn your back on the sea! 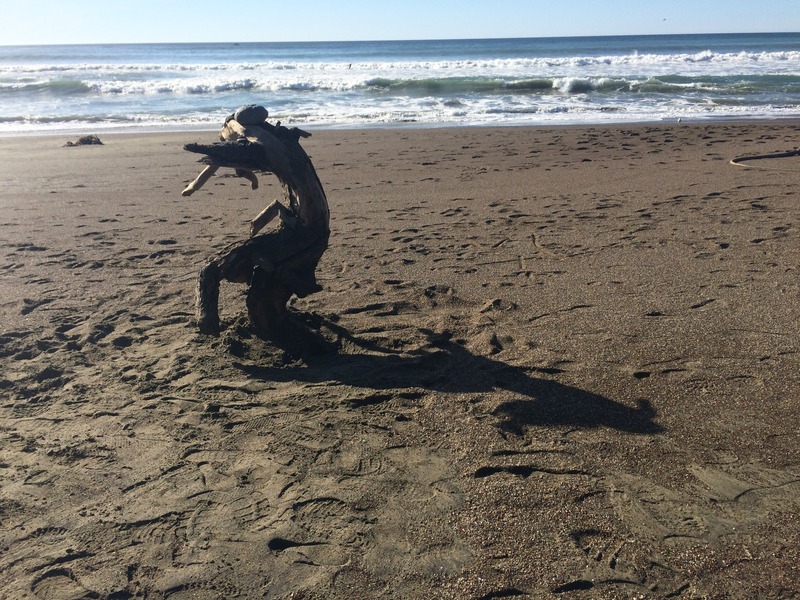 I have a few fun memories of the sea here at Moonstone beach. One when my son was playing by the beach and sitting in the sand enjoying the water when a rogue wave came and really sucked him quickly towards the water. All was ok, but whether adult or child good to always be aware of what is going on. My other fun memory is when my sandal got sucked into the surf and almost lost it. My son was super-fast and quickly snatched it back from the sea. I almost lost my sandal another time, but that is another story. As you head back north up the beach you can head back up the stairs to the upper level where there is a very nice level boardwalk that winds alongside the beach. At different intervals, there are stairs back down to the beach and benches where you can just sit and watch the sea. There is one unique bench beneath one of the wind-blown trees. Take a breath… breathe . The beach stretches quite a ways up the coast. A few areas go down to the rocky areas where you have the chance to view sea life in the rocks during low tide. You can find some pretty interesting sea creatures here to observe in their natural environment. Be sure to watch your step as it can get really slippery. Nature is abundant in this area. It’s not a fluke that you have a chance to witness sea creatures like whales, dolphins, and seals. I also really love the variety of birds that are flying above and walking around Moonstone beach. From the squadrons of pelicans soaring just above the waves or strange and beautiful herons that look like they belong on the moon. So cool! This beach is very quiet and while it attracts kids, families, and couples alike it is not too crowded and it is easy to feel relaxed and have an enjoyable experience. Whether you are a moonstone junkie, looking for a peaceful stroll, or looking to see new sea life or birds, Moonstone is a “must see” beach that you should come down and enjoy for the day. You will not be sorry. 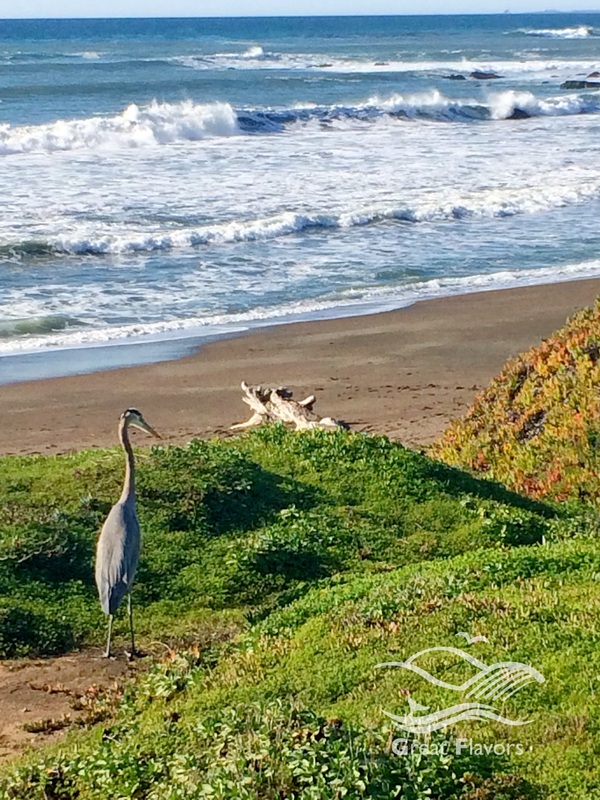 Be sure to save some time to explore the nearby quaint town of Cambria. 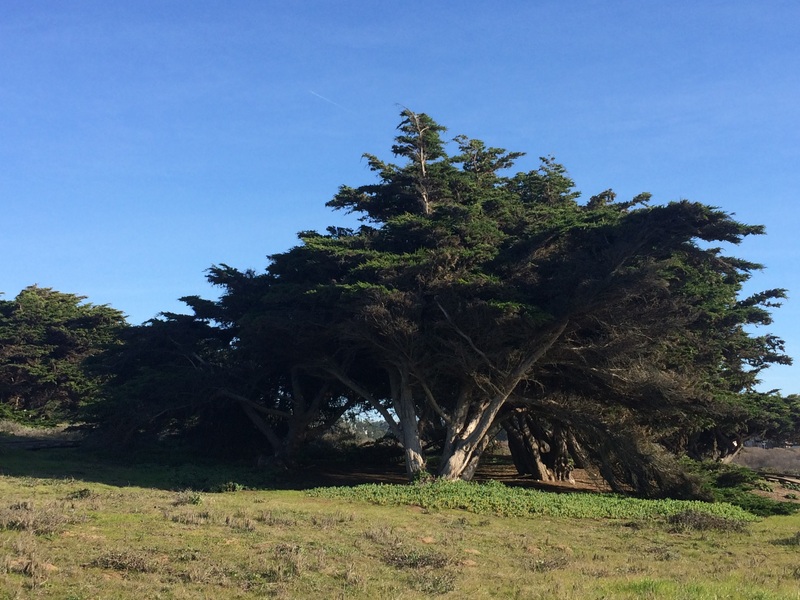 Cambria is rich in art, unique stores, and great food. We will be featuring more about Cambria in future features….